As the name suggests, here you can find MIDI hardware, in a form of electronic building blocks for your custom MIDI controller. Electronic boards and modules to MIDIfy organ console, as well control surfaces full of switches, buttons, keyboards and potentiometers. Voltage to MIDI conversion is also done with those modules. All blocks come assembled and programmed, with flexible user settings. Most people use those boards as MIDI organ conversion hardware and play in Hauptwerk, MidiTzer, MyOrgan, and alike. There are also users of Ableton, Reason and many other VST software, who made custom controllers working exactly in the way as they need them. 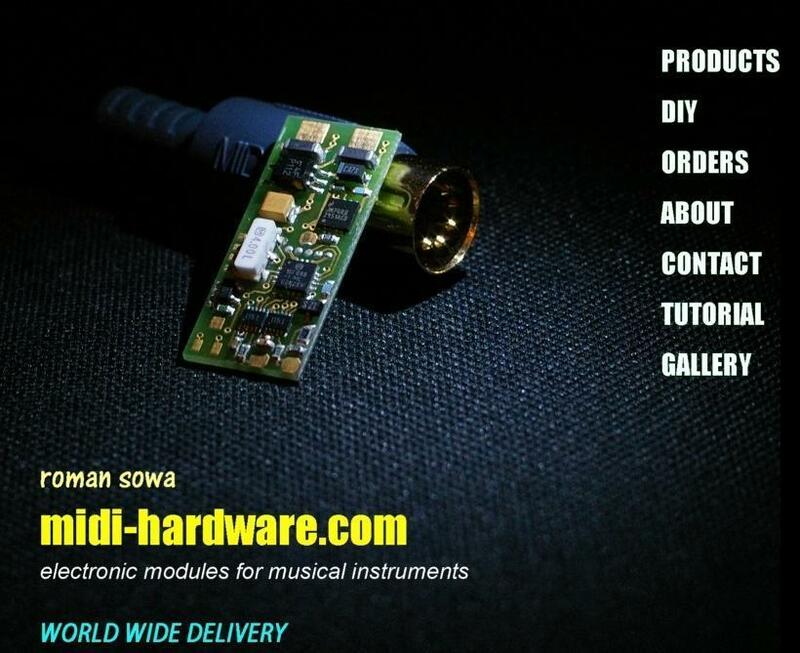 DIY section contains project of analog synthesizer modules. If you're familiar with acronyms like VCO, VCF, VCA, this is a place for you to find schematics and other info.